Responding to negative reviews in a positive professional manner and providing additional insights into any employee comments. This signals that company leaders are paying attention and that they care. In fact, nearly two-thirds of Glassdoor users agree that their perception of a company improves after seeing a response to a review. Acknowledging and showing appreciation for positive reviews. It shows that you care what people think. Keeping it in perspective: On average 72 percent of workers say they are “OK” or “satisfied” with their jobs and companies. The average company rating on Glassdoor is a 3.3 on a 1-5 scale, and the average CEO rating is 67 percent, based on data as of October 2016. Looking for trends from the comments and adjust the process to address those issues. 2. 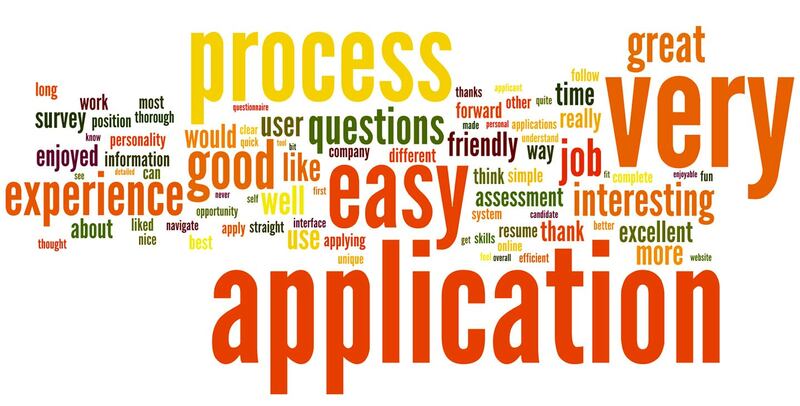 Test the application process. How long does it take to apply for the job on-line? According to CareerBuilder, 60 percent of job seekers quit in the middle of filling out online job applications because of their length or complexity. According to a study from recruitment company Appcast, recruiters can boost conversion rates (candidates viewing a job ad who go on to complete an application) by up to 365 percent by reducing the length of the application process to five minutes or less. Ask only what you need for this stage in the game: resume, name, contact information, and LinkedIn profile. Save the other data requests as they progress through the process. Go through the process, apply as the ideal candidate, time the process, and make sure your Applicant Tracking System settings are not filtering out qualified candidates and adjust accordingly. Is the interview process a one way communication or a conversation? Is the company giving the candidate information as much as extracting information from the candidate? Are you communicating expected timelines? Are you pleasant or are you moving people through like cattle and they are left feeling like a number? Are you providing status updates and letting people know how the process is moving along? Or do people apply and then never hear a peep? You can set up tools in the process to automatically send messages to candidate like: Thank you for applying when you receive their application, an email when a candidate is no longer being considered. Are you replying to those who are asking for a status update? Your interactions will be remembered. Not only will it affect the candidate's opinion of the company on whether to recommend others to work for the company, but also whether they will do business with you in the future. Do the right thing. Communicate. Be kind. Review applicants ASAP. Want to impress a candidate? Review candidates every day, contact them about next steps or let them know they are no longer being considered and thank them again for applying. Don't keep them hanging. Keep steps down to a minimum. How many interviews are necessary? A phone interview, an on-site interview, and possibly a final on-site interview should suffice. Combine the on-site interview and final interview when possible. Review time from job posting to offer. If it takes you months to hire someone, you will lose good candidates, and it may communicate that you value the work more than people. Remember you are not the only job they are applying for. Shoot for the filling a job within 30 days. Recruiting staff must have a clear sense of must have vs. nice to have skills and experience in order to conduct an efficient search and bring forward the best candidates to meet the hiring managers needs. Changing requirements during the search is a recipe for disaster and a colossal waste of time. Hiring managers should take time to think through the skills, qualities, and experience of successful previous incumbents and any gaps that need to filled with the new hire. Interviewers need the tools for a successful interview. They should receive and review resumes in advance and have prepared questions to consistently assess each candidate. Interviewers should be reminded of questions and topics that should be avoided. Be honest about the job: the good, the bad, and the ugly. Applicants will appreciate the candor, and those you hire will be prepared for the challenges. Bringing new people into your organization is such an important task. These people will be the hands and feet of your company. Take the time to make sure your process is the best it can be. Handle candidates with care, and ask for help. Need someone to review your process? Don't have time or much success with your recruiting efforts, partner with Baker HR Services.